“Intel Inside” this banner we know from long time and most of the PCs and laptops we dressed with this sticker. What does it mean? Simple, There is a Intel Processor inside this device. And this is the Intel brand logo from 1991-2005. In 2006 they changed this logo and put just Intel. Now they are moving to Smartphone. last December in 2011, Intel unveils Android-running Medfield phone and slate. 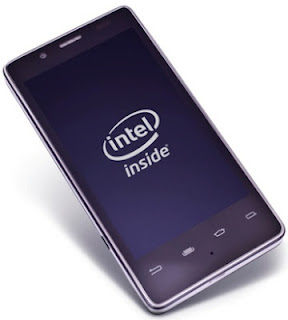 In future we can see "Intel inside" Smartphone in the market. It seems not a big deal. 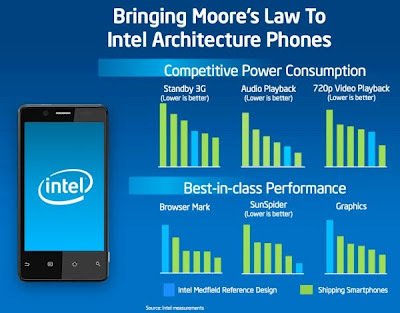 Coz Intel has the technology and they already move to mobile platform from long back. Why this giant wants to put the finger to mobile platforms. Because people are becoming distant from their PCs and even laptops and they expecting every things on their fingertips. World is moving very fast, Making a call or message from a mobile is not a big deal now. That’s why the Smartphone industry rising very fast and it helps to make a big market on over it. 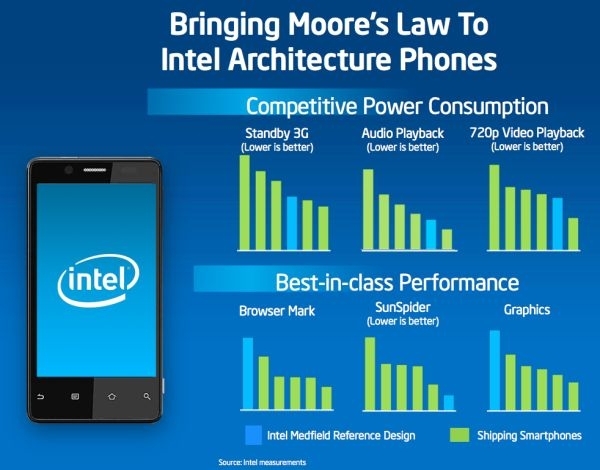 Qualcomm is the leader in Smartphone processor manufacturing and now Intel is going to be a competitor. This is not the first time of Intel but Medfield attempt is successful. Because it has proved more performance against the power consumption. Why I’m saying this, this is a requirement of today. Because Most of the smartphone users are not happy with the battery life of their phone. Will wait for the Intel attempt, whether they can achieve this.